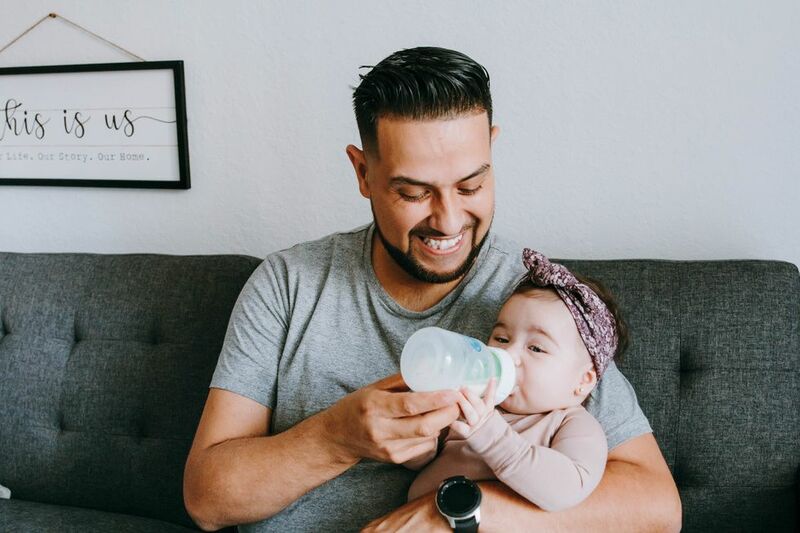 Visit any of the big-name baby sites, and you’ll likely find breathless articles about celebrities caught with a drink in hand while pregnant. Visit a parenting forum and you’ll see scores of people excoriating posters for even asking the question, with just as many fervently asserting how mamas-to-be should just calm down and have a drink already. This article will not add to this chaos by trying to convince you one way or the other about drinking while pregnant. Instead, it discusses how one pregnant economist upended conventional wisdom on the topic of drinking while pregnant, making us rethink the long-range consequences of relying on poor data. 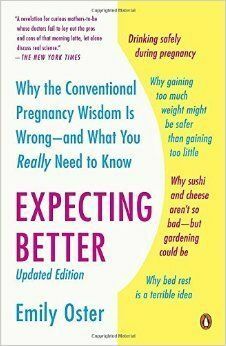 In “Expecting Better: Why the Conventional Pregnancy Wisdom is Wrong – and What You Really Need to Know”, Emily Oster, an economist at Brown University, analyzes the existing medical literature on many controversial pregnancy topics. She weaves her own pregnancy experiences with her data analysis to show readers how she applied the findings to her own life. The result is an unusual and refreshing parenting book that presents evidence without advice. Parents-to-be are instructed to weigh that evidence themselves and use it to make their own thoughtful decisions. Given the way alcohol is metabolized, Oster argues, the rate of consumption is as important as the frequency. Drink at a slow pace and most harmful bi-products of alcohol won’t make it to the baby. To talk about the effects of alcohol consumption during pregnancy, Oster asserts, we also have to talk about how alcohol consumption in pregnancy is studied. Given that the safety of alcohol consumption during pregnancy is a controversial topic, and because alcohol consumption in even moderate amounts is suspected to do harm, it would be unethical to randomly group women and have one group abstain from alcohol, while assigning other groups to one drink a day, two drinks a day, and so on. Instead of randomized controlled trials, then, physicians and other researchers have had to rely on survey data to draw conclusions about alcohol consumption during pregnancy. Oster sifts through the available literature, choosing those studies that best controlled for confounding factors, and finds that alcohol consumed in small quantities has no negative consequences for children. One of the criticisms of Oster’s work is that she cherry-picked data. But as an economist, Oster is especially well-suited to identifying how a study that initially seems well-constructed might be flawed. She looks, for example, at a paper published in Pediatrics in 2001, in which researchers concluded that light drinking during pregnancy impacts children’s future behavior. That sounds like damning evidence for the danger of alcohol consumption during pregnancy. One drink a day and your child will be the school bully. What’s missing from the researchers’ conclusions, Oster notes, is that nearly half of the study’s drinking mothers were also using cocaine, while only 18 percent of the non-drinking mothers were. Oster posits that perhaps it’s the difference in cocaine use that made the impact on childhood behavior. Furthermore, the very fact that “only 18 percent” of the non-drinking group used cocaine suggests that the population in this study may not be representative of the population as a whole. Because cocaine sometimes correlates with other issues that may be considered risk factors for childhood development, it’s not possible to draw strong conclusions about drinking more broadly from this single study. But she’s not even a doctor! Given her bold assertions about alcohol consumption, let alone other pregnancy bogeymen, such as sushi and deli meat, it’s not surprising that Oster’s work received a lot of negative attention. It is surprising, however, that her book received so many one-star reviews on Amazon before its publication date. Most of those reviews, which Amazon has since deleted, appeared to stem from NOFAS, a Fetal Alcohol Syndrome advocacy group, who advised its supporters to review the book. Many of those reviewers openly admitted they would never read the book, so their reviews were eventually deleted in accordance with Amazon’s review policies. Mothers of children with confirmed Fetal Alcohol Syndrome (FAS) wrote the overwhelming majority of the negative reviews. There were two significant problems with their claims (aside, of course, from the fact they were reviewing a book they hadn’t read and never planned to read, based on what they thought Oster argued in one section of one chapter). The first was the claim that Oster was telling women to go drink. As she makes quite clear in her introduction, Oster’s aim is not to instruct women how to act, but to provide them with the data they need to make strong risk calculations. The second problematic claim – which has been even stickier than Oster’s claim about alcohol – is that she should not be dispensing medical advice because she is not a doctor. The problem with these critiques is that Oster is a doctor. Although she’s not a medical doctor, Oster holds a PhD, and it’s her PhD that makes her so good at sifting through the various studies published on maternal alcohol consumption. One of the defining features of a PhD is thinking (it is a Doctorate of Philosophy, after all). It’s precisely Oster’s training to evaluate large data sets with lots of confounding variables that makes her ideally suited to looking at all of the available data on a medical topic and selecting only the best-performed research. Before returning to the question of Oster’s qualifications, it’s worth pausing for a moment to consider how medical literature gets made. If you are a physician-researcher or scientist working at an academic institution, you’re generally expected to publish in your field, often multiple times each year. This is especially important for faculty members seeking tenure, as many institutions have a publication threshold for tenure review. That’s where the phrase “publish or perish” comes from. It refers to the need to publish in order to keep your job. For researchers whose salaries are completely dependent on the grants they bring into their universities, publications earn and retain funding for their work. The pressure to publish early and often does not mean that researchers will publish “bad” data. There are many checks in place to ensure that scientific papers are of reasonable quality. But a “true” finding is not necessarily a useful finding. The “Pediatrics” paper Oster references in her book is one good example. The data was bad, but, Oster argues, not significant to populations of pregnant women not abusing cocaine. The comments section of that article is, perhaps unsurprisingly, full of women criticizing other women’s lack of self-control. There are women quoting FAS statistics (some of which Oster refutes in her book). There are women arguing that Oster’s writing is irresponsible because people might misinterpret it and drink unsafe amounts. There are also women discussing grandmothers and great-grandmothers who drank during their pregnancies, only to have healthy, well-adjusted children. All of these commenters have missed the point. Oster titled the piece “I Wrote That It’s OK to Drink While Pregnant. Everyone Freaked Out. Here’s Why I’m Right.” What makes Oster “right” is not that she weighed the data and found that alcohol consumption is likely unharmful to fetuses when consumed in small amounts. She’s not “right” because she drank during her pregnancy, any more than her critics were “right” for not drinking during their pregnancies. Many of the milder criticisms of Oster’s book include a judgement posing as question: “Why take the risk?” Why not just avoid alcohol for nine months, and, just to be safe, during breastfeeding? Why not skip the deli sandwiches? Why not swap out sashimi for California rolls? Setting up unreasonably high standards for mothers such that they have failed before they ever see their babies also carries risk. These mothers have failed because they painted the new nursery even though the fumes were considered dangerous. They have failed because they didn’t eat all the right foods during pregnancy. They failed because they changed the litter box. 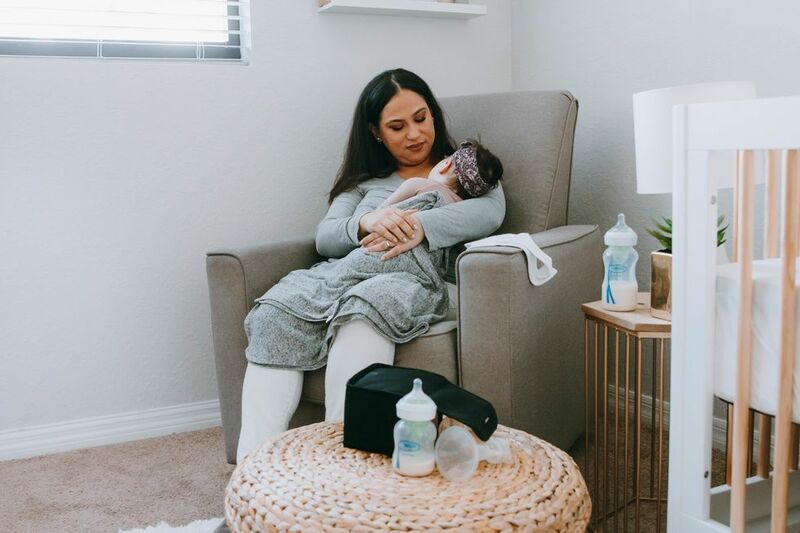 The value of a few glasses of wine during a pregnancy is not that the mom-to-be gets to relax, or even that the she just enjoys the taste of wine – although these are nice side benefits. 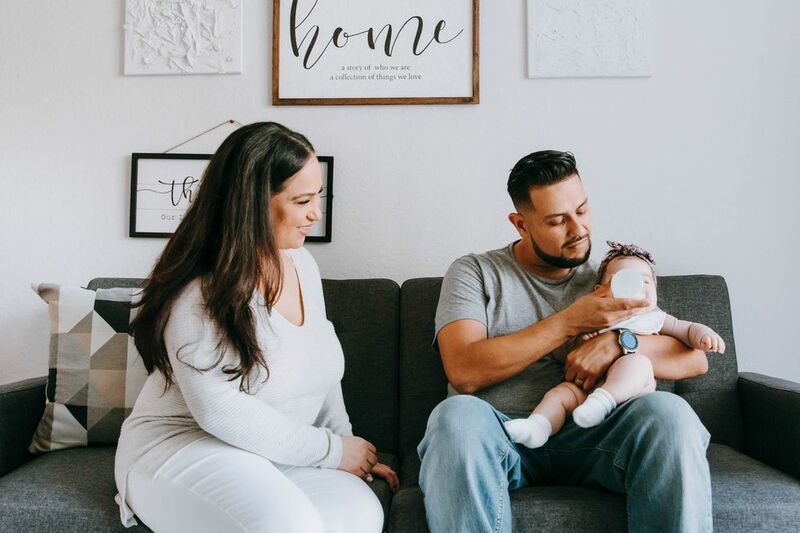 The true value rests in the type of analytical thinking she can then rely on throughout the early parenting years to combat the slew of messages telling her she’s doing it wrong. There’s no reason to suspect that drinking while pregnant will actually make you a better parent, just as not drinking while pregnant won’t make you a better parent. But the type of thinking Oster exhibits in her book can make us better parents, who are less susceptible to the advice du jour, more confident in our choices, and less fearful of the world.